Chocolate is toxic to dogs and just a small amount can cause them to feel pretty poorly. The darker the chocolate, the more toxic and dangerous to your four legged friend. Things to look out for are vomiting, diarhhoea, rapid breathing, tremors/incoordination or seizures. Don’t leave your tasty treats in reach of your furry friends. Avoid leaving chocolate under or on the tree. These fruits are toxic to your pets, especially in the dried form. Even a small amount can be toxic and lead to kidney problems. There are lots of festive foods containing these fruits around Christmas so be sure to keep them out of reach of your pets! The effects are much like the those in humans when drank in excess… vomiting, wobbliness and drowsiness. 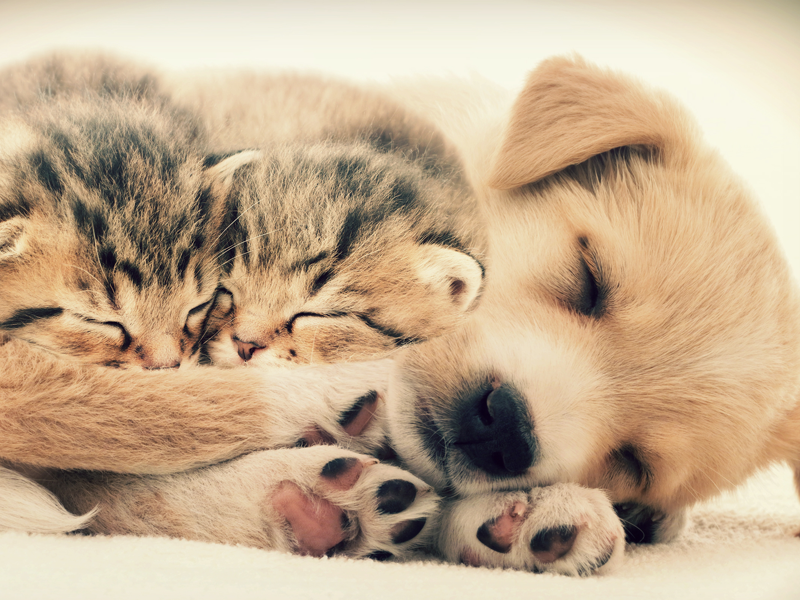 However, our pets are much more sensitive to alcohol and ingestion can lead to a coma in severe cases. Make sure you clean up any spillages and do not leave your leftovers or open bottles lying around. 4. Onions, garlic, leeks, chives – that’s shallot! Uncooked or cooked, these veggies can cause gastric upset resulting in vomiting and diarrhoea initially. A few days following ingestion, red blood cell damage can occur leading to anaemia. Dispose of any leftovers and do not feed your pets any food containing the above… especially not the classic Boxing Day leftover turkey curry! Despite how the old song “Knick-Knack Paddywhack” goes… avoid giving your dog any bones! Cooked bones are especially more britle and likely to splinter, potentially causing problems including obstruction or perforation of your pets gastrointestinal tract. 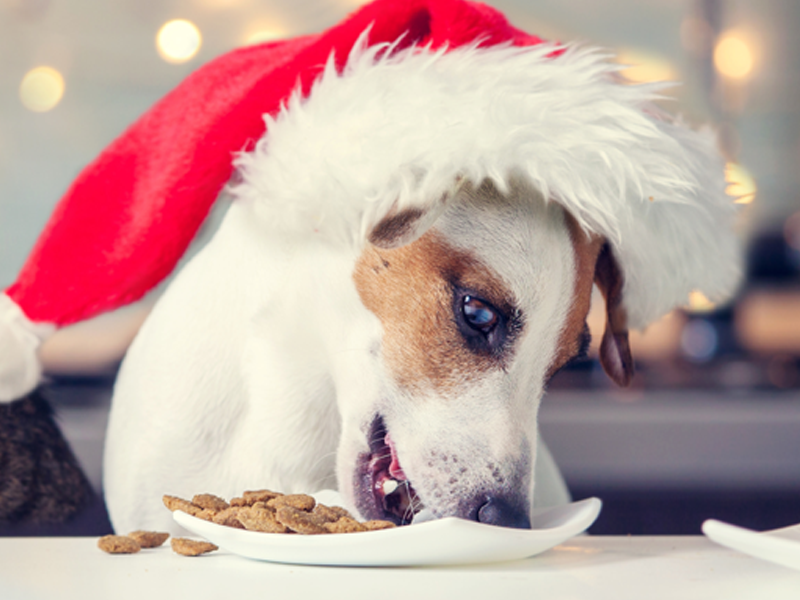 Any leftovers from the festive season are likely to be rich and fatty which isn’t good for our four-legged friends. To avoid any upset tummies or potential blockages, dispose of any leftovers and don’t be tempted to feed them to your pets. Tasty for us but toxic to our pets! Can cause weakness, tremors, and stiffness when walking. Other signs of ingestion include vomiting and an increased body temperature. Keep these treats locked away – especially the ones coated in chocolate… double danger! More cheese Gromit? But no blue cheese please! This smelly snack contains a substance which dogs are sensitive to and can cause gastric upset, tremors and seizures. Keep it out of reach of furry paws. How lovely those branches may be, but pine needles can be pretty irritating to the mouth of an inquisitive pooch! If swallowed, the sharp needles can cause trauma and/or mild tummy upset. Ensure fallen needles are vaccumed up every day or consider buying an artificial tree. 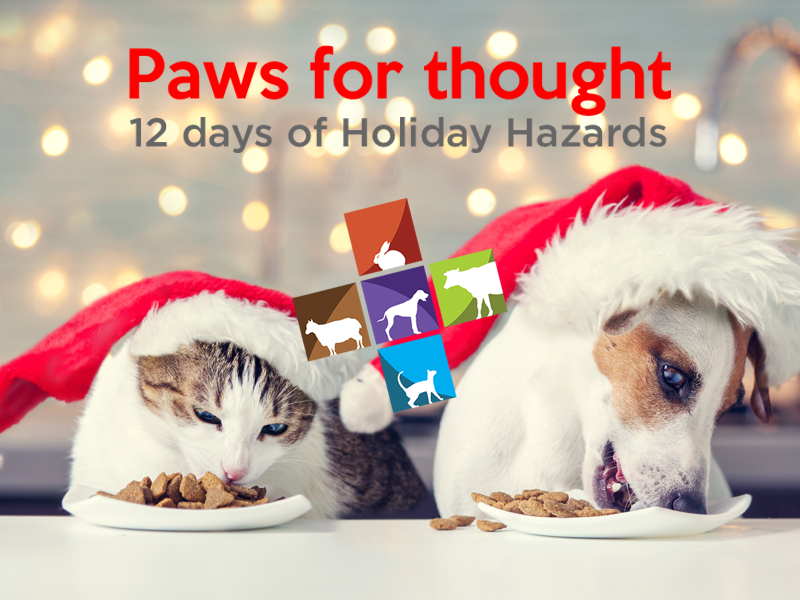 Although not toxic, any decorations could cause an obstruction in your pet’s gastrointestinal tract if swallowed. Christmas lights may also be chewed and could cause an electric shock. 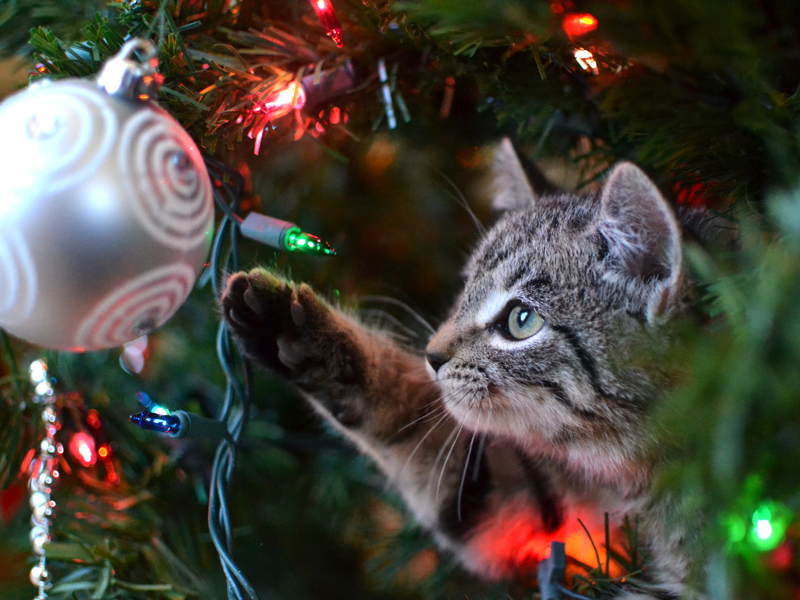 Those sparkly baubles look like great toys for your pet to have a good chew on, so avoid leaving your pet unsupervised around the Christmas tree. Using an extension cord which cuts out automatically when damaged is also advisable to protect your pets. 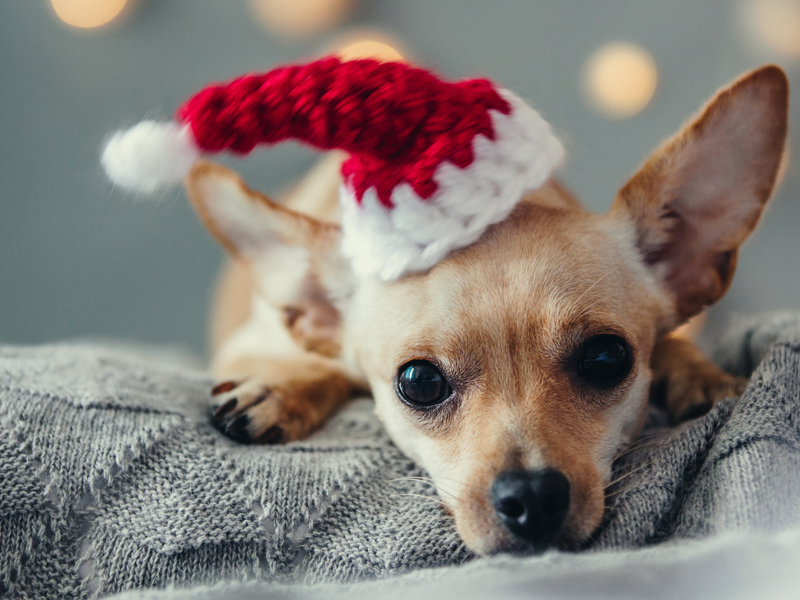 Poinsettia, mistletoe and ivy are all mildly toxic to your pets. Signs of ingestion can include vomiting, excess salivation and diarrhoea. Although lilies are not a festive flower, they are often included in Christmas bouquets and you should be aware that they are incredibly toxic to both cats and dogs. Ingestion of any part of the flower can cause acute kidney injury and potentially death. Be sure to keep these plants out of reach of your pets, and if at all possible avoid having lilies in your house. Antifreeze has a very sweet taste and is therefore enticing to your pets. However, it is very toxic and can cause acute kidney injury. Sadly ingestion can often lead to fatality. Always ensure to clean up any spillages and keep well out of reach of your pets. Contained within the small sachets that often come in the packaging we tear open at Christmas. Thankfully they are non-toxic, but could cause a gastrointestinal blockage if eaten by your pet. 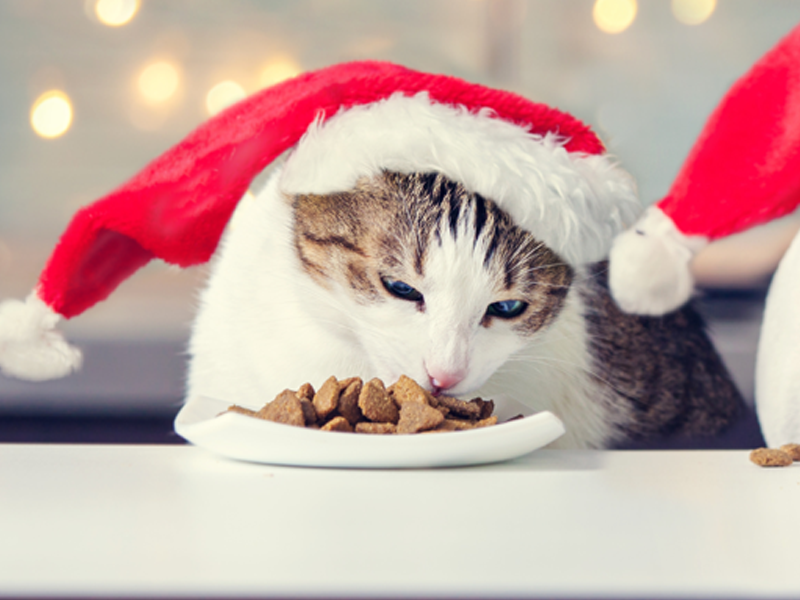 Make sure you tidy up and dispose of all wrapping paper and packaging to avoid any risk of your pets eating them. If you’re worried that your pet has eaten something they shouldn’t have then feel free to ring us for advice, and we can happily book you an emergency appointment if needed.